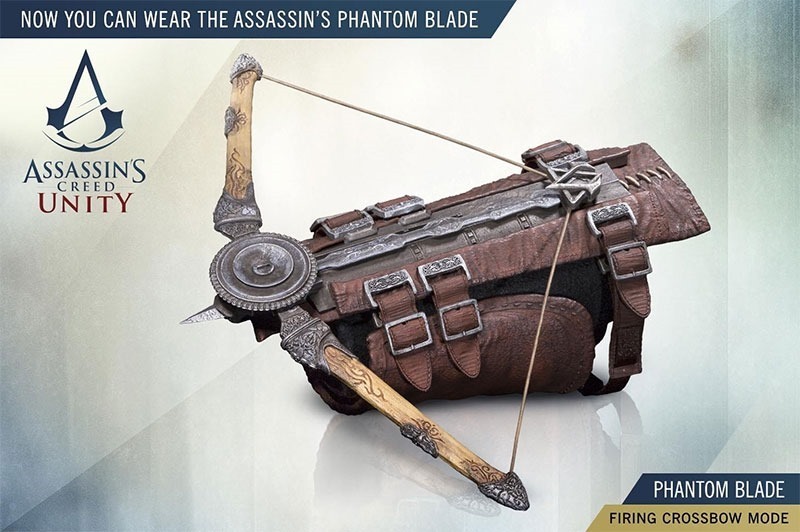 Win an Assassin’s Creed Unity Phantom blade! When it was launched, Assassin’s Creed Unity was a bit of a broken mess. Though a visual marvel, it suffered from a wealth of issues that caused the game to be worse than it should have been. To make up for that, Ubisoft’s giving away the game’s first bit of DLC, Dead Kings, free to all of those who’ve played Unity. Yes, it comes with a host of problems of its own, but it fixes many of Unity’s design issues. Developed by Ubisoft Montpellier, the folks behind Rayman Origins and Legends, Valiant Hearts, and the criminally underrated ZombiU, it’s a slightly different take on Assassin’s Creed. One of its selling points though, is the rather silly guillotine gun. Like Gears of War’s ridiculous lancer, which is a chainsaw duct-taped to an assault rifle, Assassin’s Creed Unity’s Guillotine Gun is a mortar gun strapped to an axe. 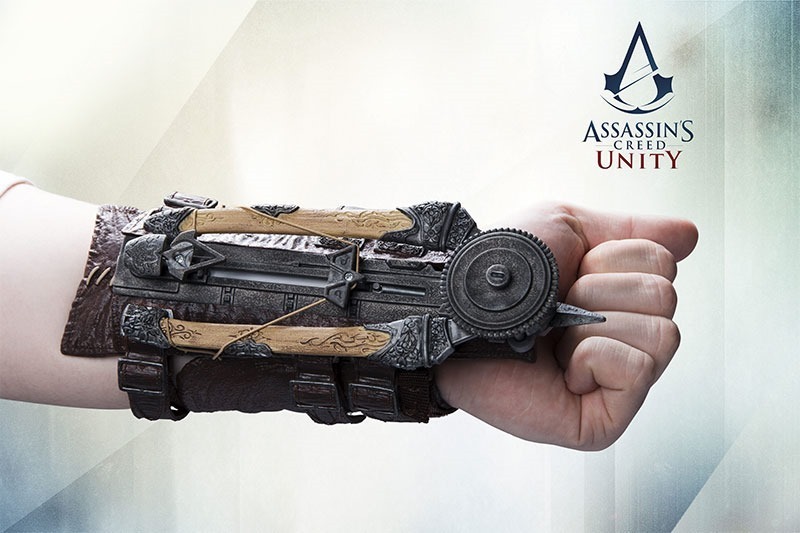 It’s all quite silly, and in that spirit, that’s how you’ll be in the running to win a genuine, functional Assassin’s Creed phantom blade of your very own. All you need to do is tell us in the comments what sort of silly hybrid gun you’d like to see next in a game – and how it would work. We’ll be carefully selecting the winner based on how clever, silly or hilarious the answer is, and giving random.org a skip this time. Here’s another look at the Dead Kings DLC. I…I actually liked Assassin’s Creed Unity. I did, however, only play it after most of the nonsense was patched out. It’s one of the best looking games on the new consoles, and the co-op is some of the best multiplayer fun I’ve had in ages. If you’re willing to overlook some of the game’s design flaws, and the severe open-world bloat, there are indeed good times to be had in Unity’s digital Paris. Please note that this competition is only open to those who reside within South Africa’s borders. We’ll select a winner on Monday 19 Jan in the afternoon, giving you a weekend to think of the craziest, silliest, or downright coolest hybrid weapons you can.